FC Bayern München’s players were happy with a job well done after beating TSG 1899 Hoffenheim 2-0 in Matchday 19’s final game, while the visitors took some positives despite the defeat. Bayern remain eight points clear at the top of the table, while Hoffenheim remain second-bottom after a third league game without a win. 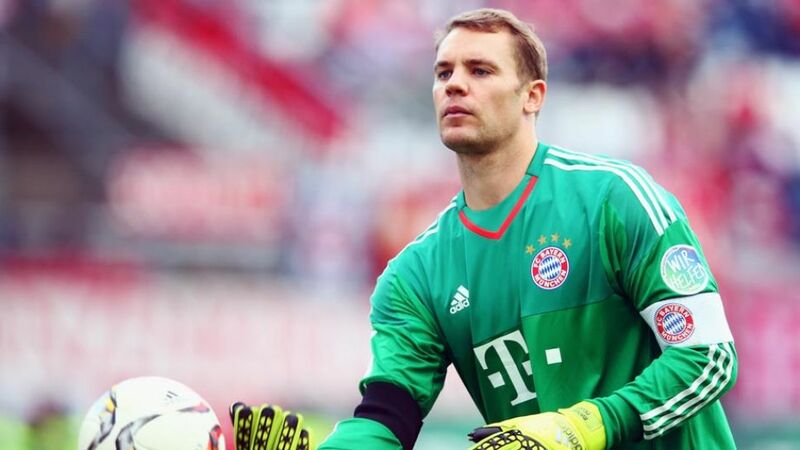 Manuel Neuer (FC Bayern goalkeeper): "We didn’t have that many clear-cut chances, but we still played well enough to win the game and we didn’t give them that many opportunities either. I didn’t touch the ball much but I’m a bit used to that to be honest, and my job is to be alert even when the opposition don’t get many chances. It’s tough when players get injured but we have players who can fill in in different positions. Joshua Kimmich did a great job in defence. We’re a tight unit and we all stick together. We’ll need that togetherness in the next few weeks and months when it comes to the business end of the season. We have tough games coming up against VfL Bochum [in the DFB Cup] and then Juventus [in the UEFA Champions League]." Pep Guardiola (FC Bayern head coach): "Once again, huge credit to my team. We attacked well and our positioning game was good. It's not easy playing against ten men [plus the goalkeeper] in a small space." Karl-Heinz Rummenigge (FC Bayern CEO): "It was a good performance from us today and we deserved to win. It wouldn’t be right for us to enter the transfer market on a whim. On the contrary, we’ve been monitoring the situation of the squad for several weeks. There aren’t really any players available at this time of year that can improve a team like Bayern München." Oliver Baumann (Hoffenheim goalkeeper): “If you lose a game, who haven’t done everything correctly. We wanted to be compact and we managed to do that for long spells, but we couldn’t stop everything they threw at us. The defeat is fair. We have the quality to climb the table but we need to show mental strength. We have to beat Darmstadt next week." Sebastian Rudy (Hoffenheim midfielder): “We tried to keep things tight and hit them on the break and we had a couple of counters. Unfortunately we wouldn’t make the most of them. Bayern scored their goals and then you end up losing 2-0." Andrej Kramaric (Hoffenheim striker): “We gave a good account of ourselves, especially in how we defended. I’m unhappy with my performance, though. I had two good chances, and if I’m in top form and have some rhythm, I score one of them. There’s room for improvement, for me and the team."